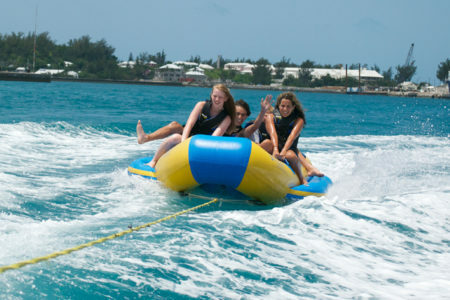 Pile onto our double-row banana for a fun adventure flying across the Great Sound. Pulled by our speedboat, you’ll bounce over waves and get the thrill of your life! Suitable for the whole family, this is a quick, exciting activity that will be one to remember for years to come!